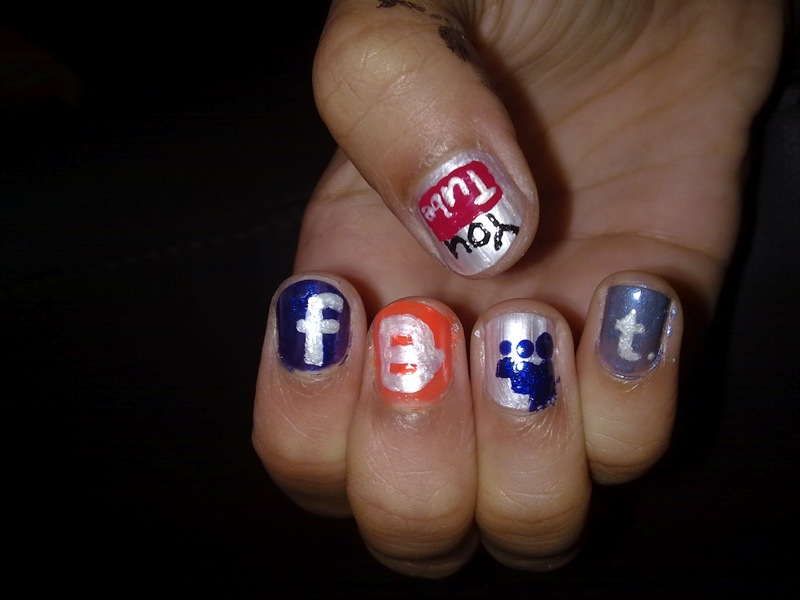 Icons of social media sites - from the thumb we've got YouTube, facebook, Blogger, Myspace (bringin' it back, woo!) and tumblr. (look at it. So indie because it has a fullstop in its logo. Pssh, I'm too mainstream for it *flicks hair*) Once again this was my left hand's handiwork and I truthfully think my left hand is better than my right when it comes to detailed paints. Also, I did this while watching the King's Speech. It's a totally awesome movie. OMG,OMG! this is sooo cute!